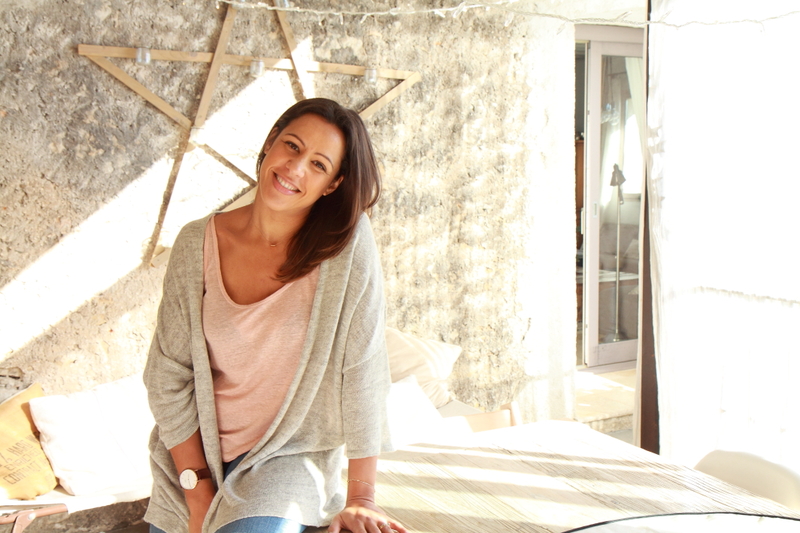 Sometimes, it can be complicated to find a theme for your wedding decoration as you can see many good ideas in different blogs or papers …and if you put them altogether, it doesnt’ work very well. So today, my suggestion is to choose an object for your wedding theme and to decline it in the whole wedding decoration. You’ll see that quickly your wedding theme will be much more concrete and consistent. 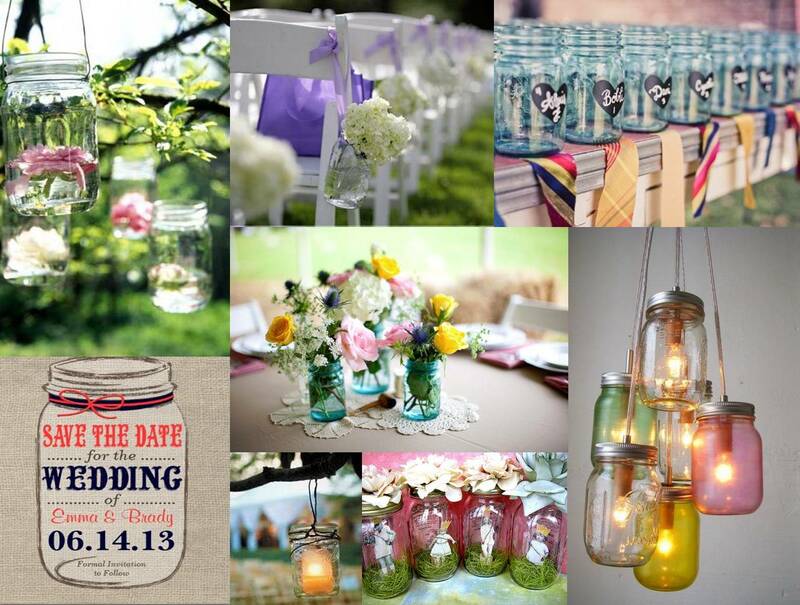 As a matter of fact, jar is a perfect wedding theme as you can use it from the save the date to the centerpiece. I like the use of jar as glasses. The guests are kindly asked to write their names on the labels. Of course, jars are perfect for candles and flowers. Quickly you wedding theme is done ! 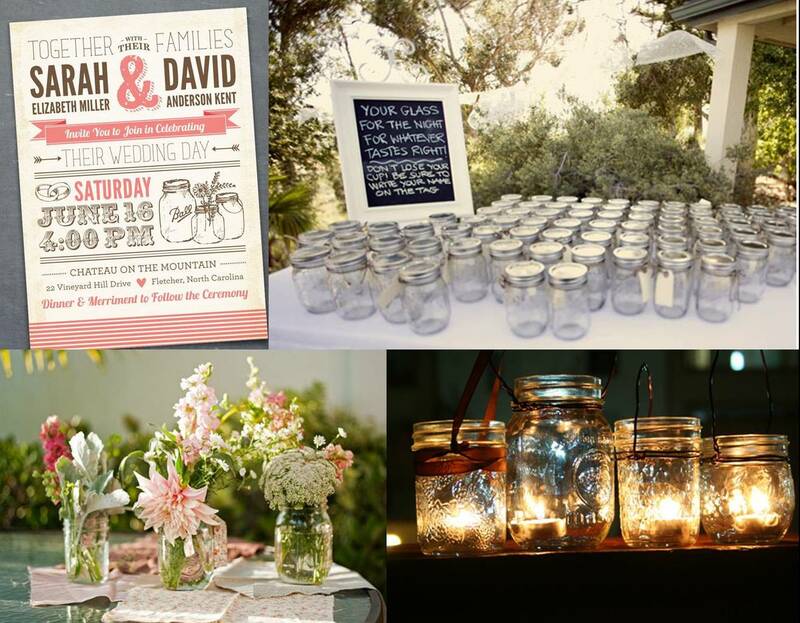 The great advantage to use a jar as a wedding theme is that this item is very flexible : you can hang up jars in trees for the wedding ceremony, you can add ribbons all around, you can fill a jar with water, sand …all these creative ideas are not very expensive. 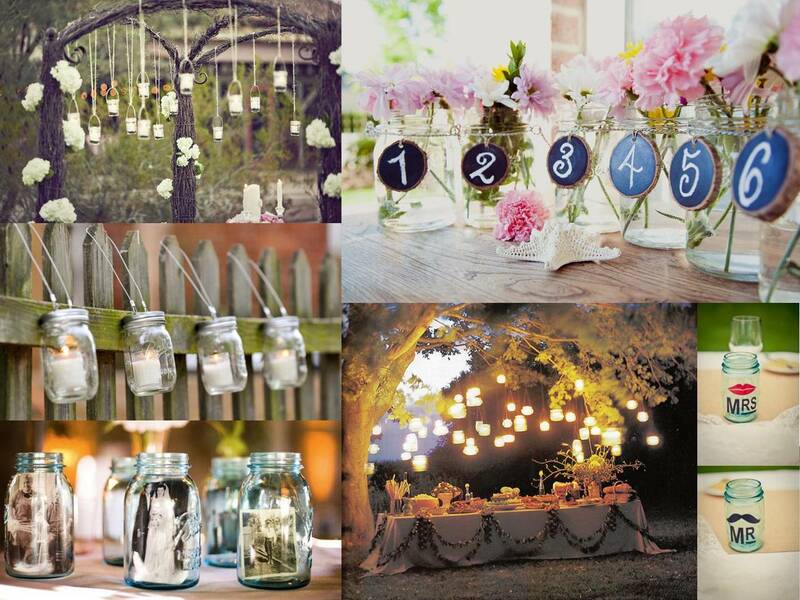 That’s also a good point to use jars for your wedding decoration. I am sure now you have a lot of ideas to create your own wedding theme and feel free to send us some pictures of your wedding decoration with or without a jar !